plastic extrusion blow molding machinery of plastic balls | Silver Python Machinery Co., Ltd. Plastic ball raw materials select low-density polyethylene, hollow grade, appropriate into the high-density polyethylene 5% -15%, to enhance the physical properties of products to adjust the flow of raw materials. 1 extruder, single-color ball with a single screw 45mm. Two-color ball with two screw diameter 45mm. 2 head. Using the angle of the head, the head of the flow channel has a greater compression ratio, the mold part of a larger stereotypes die. 3 mold. Hollow ball mold is generally made of cast aluminum, pinch insert with high quality steel made by heat treatment, cavity sandblasted. Process parameters. According to the process conditions, the first extruder barrel and head heating, to meet the requirements, the raw materials and pigment mixing evenly into the extruder hopper, start the extruder, the material from the plastic wall thickness uniform, smooth Tubular parison. 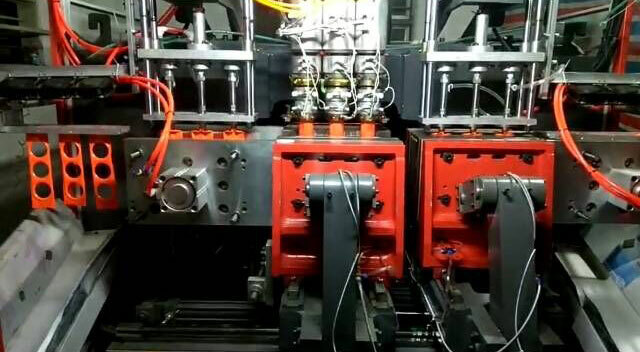 When the parison is crowded with the length, the auxiliary machine starts up, the mold is closed, and the upper and lower mouth of the mold are caught in the mold. The cutter above the mold cuts off the tube, and the compressed air is inflated by the needle, Needle, melt material sealed pinhole traces, open mold out products. Products open mold, to be trimmed to box. Two-color ball production process is the use of two different materials with different raw materials extruder, sharing a head at the same time extrusion. In the blow molding process, should pay attention to the extruder barrel, head and mold temperature control. The temperature is too high or too low can not get qualified products, or even not normal production.